The Deutsche Bahn AG ist currently constructing a new ICE track from Erfurt to Nuernberg. When it´s finished in 2017 it will reduce the total traveling time from Berlin to Munich to something around 4 hours. Right now you need approximately 8 hours. The project started in 1996, got interrupted in 1999 and was continued in 2002. 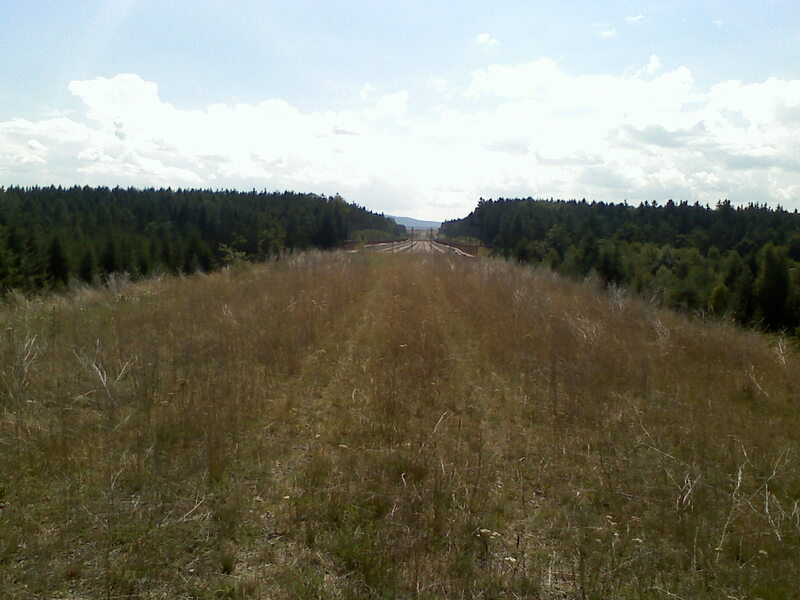 The track passes Ilmenau in the east and is nearly finished up to Erfurt – only the rails are missing. Some kilometers south of Ilmenau, in the small village Langewiesen the track ends. From there a big bridge will push the track forwards which is currently under construction. 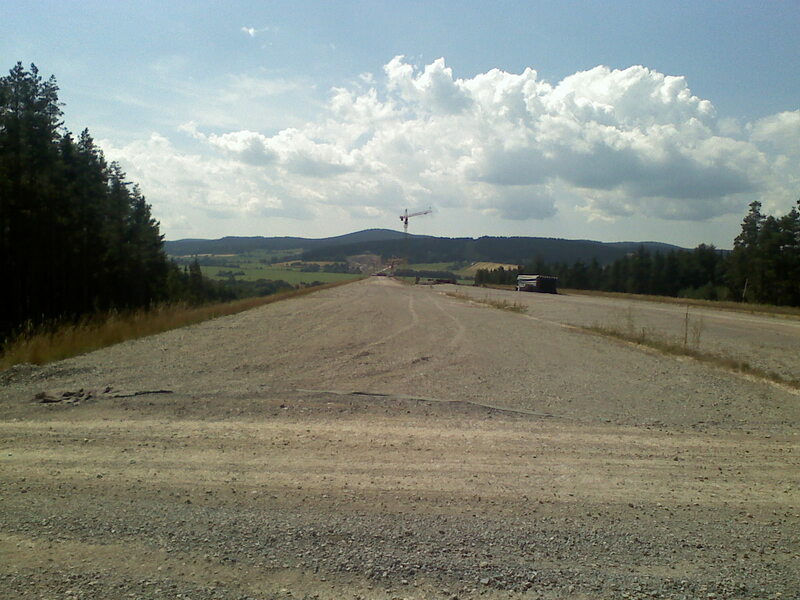 I visited the construction site several times and got the idea, that it would be a great route for a bike trip. I tested some parts of the track with my bike and came to the conclusion that a trip on the whole track from Ilmenau (Langewiesen) to Erfurt needs some good preparation. Nearly all of the bridges are blocked (and I mean really blocked) so you have to go through the valleys and all the tunnels are blocked too, so you have to go over the top. Sounds exhausting (and it is) but the bigger problem is, that there are no direct paths leading through the valleys or over the tops. I lost the way more than once when I looked for alternatives. So I decided to use Google Earth to have an all-time overview. It proved as a good and necessary idea. Besides that I used my Garmin Forerunner 205 GPS watch to trace my trail – you can see the route in Google Earth below. 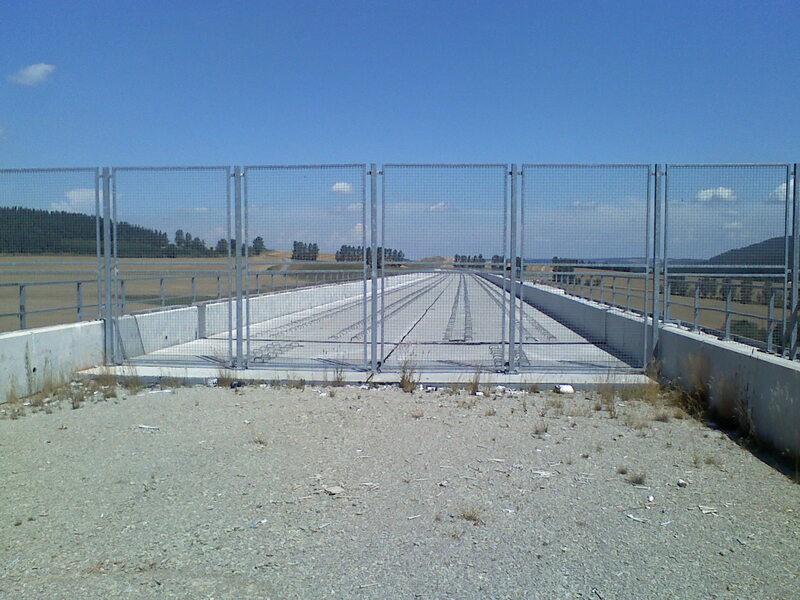 The track is covered by a combination of rough gravel and more capillary gravel. Riding on the first is sometimes a little bit tough and you really need to have a good hold on the steering, the second is much more comfortable although you are much faster on the rough gravel. I felt pretty much motivated when starting the trip on a sunny day in late July. But I underestimated one thing – the weather. With nearly 35 degress it was way to hot for a trail like this. Normally I like riding when it´s that hot but the up and down through the valleys and over the tops consumed more of my power than I expected. There was no alternative apart from splitting the route in 2 parts. So I left the track next to Arnstadt and used the train back to Ilmenau. My conclusion to the first part is a little bit divided. On one hand it was a damn hard and – especially after the third detour through a valley to get across a blocked bridge – demotivating trip. 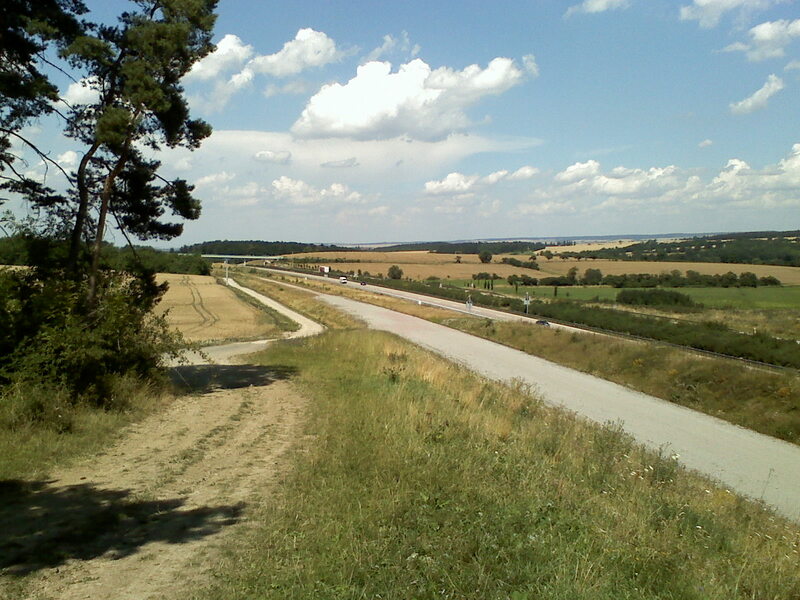 But on the other hand it was a great moment standing on the top after the last blocked tunnel and having a great view over the lowlands towards Arnstadt and Erfurt, knowing that the most hazardous part lies behind me. Hopefully I´ll have the chance to ride the 2nd part before the winter comes. Entry point in Langewiesen. The picture shows the construction site for the bridge. 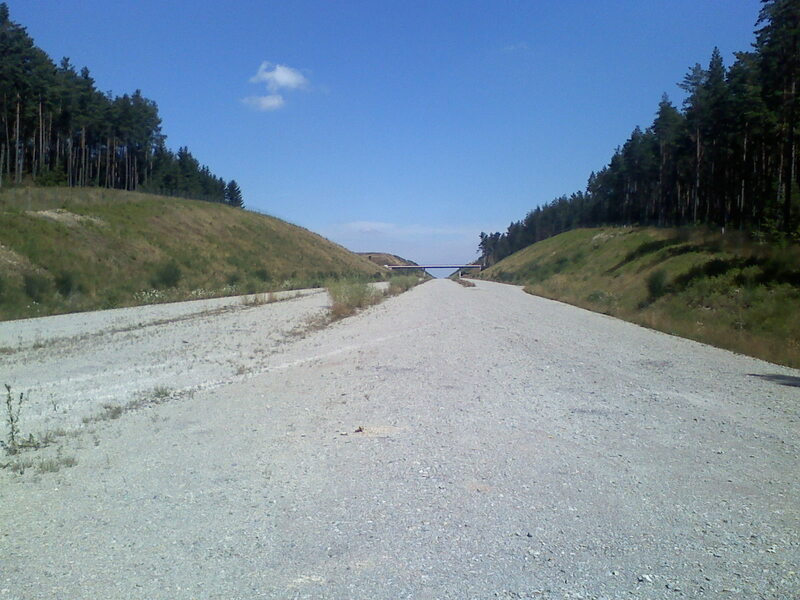 And the view in the different direction, still at the entry point in Langewiesen. That´s the first view you´ll get when you start your trail. A (blocked) bridge next to Wümbach, the highest on the whole trail, so the largest valley to cross. Looking back on the last blocked bridge, with nature taking back its original ground. No wonder, 12 years after the construction of the track started. A view from the top of the first blocked tunnel. 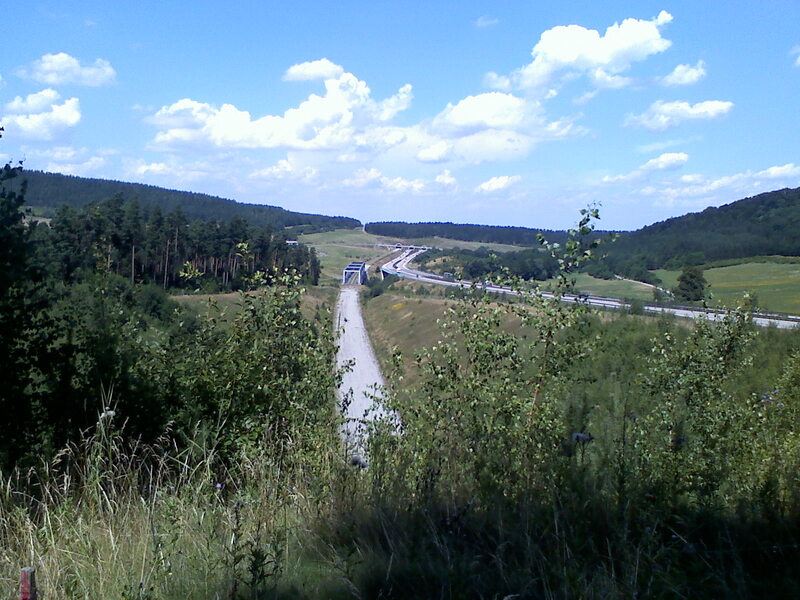 On the right you can see the Autobahn A71. At the horizon the next blocked tunnel is waiting for you. Cars and trains altogether. But where the hack are the trains ? 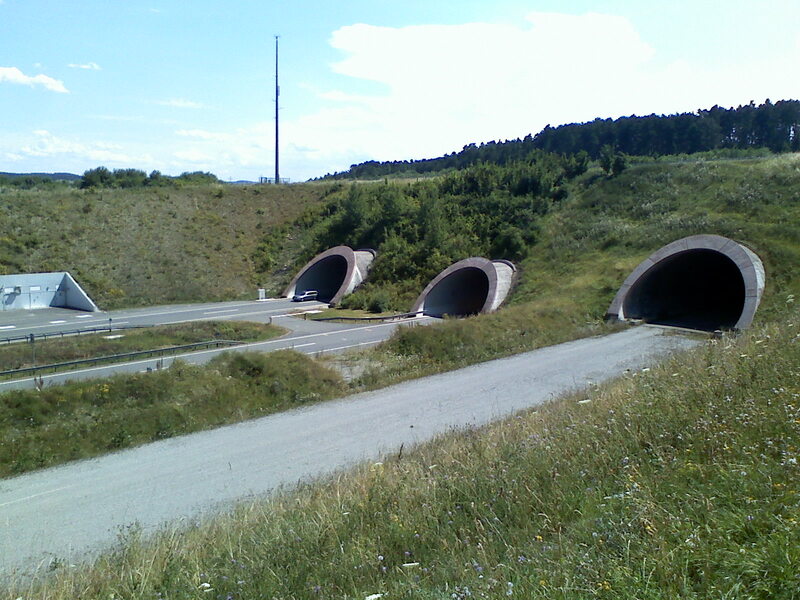 The 2 tubes on the left side are for the cars on the Autobahn A71, the right tube is empty, blocked and forsaken. And that´s the view you´ll love. It´s after the last blocked tunnel (on the first part of the track) and leads you straight into the lowlands from Arnstadt up to Erfurt. 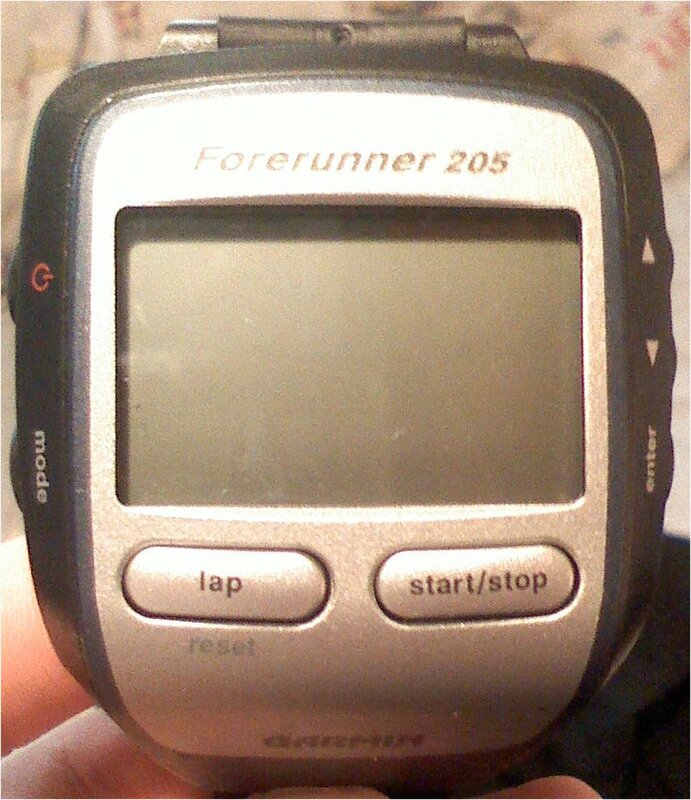 With this device I traced the route via GPS. It has many additional features for training.